Photo courtesy of Columbus Police Department. 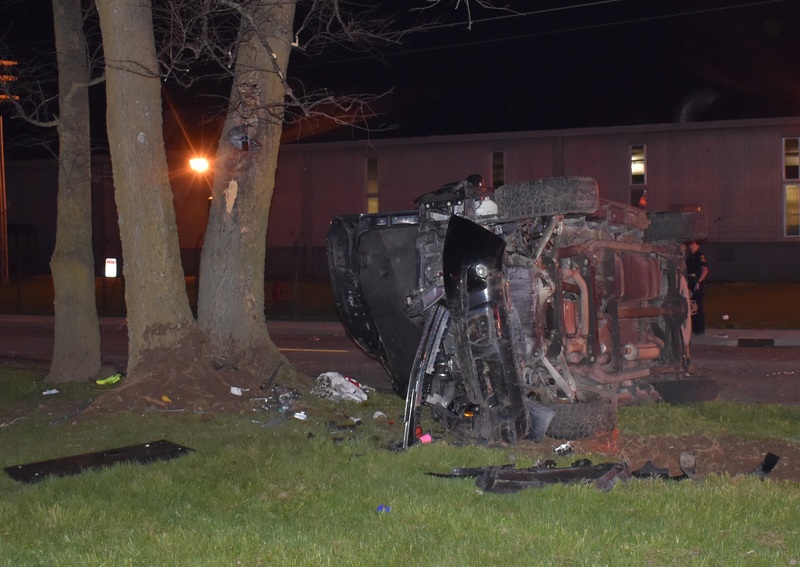 46-year-old Daniel Armstrong of Farmersville was flown by Lifeline to IU Methodist Hospital after the accident. .
Police were called to the accident scene at 1:10 a.m. Saturday. They say that Armstrong was driving northbound, left the road and struck a tree. He was not wearing a seatbelt and was thrown from the vehicle. Police believe that alcohol contributed to the crash.